For just seventy five lakh was sold to Maharaja Gulab Singh, an area of 84,471 sq. miles and 2½ million people along with their hopes, aspiration, dreams and all that was essential for their moral, intellectual and economic growth. Such a heinous crime was unheard of in civilized world when an entire nation was sold like dumb driven cattle . It was altogether an outrageous, shameful affair devoid of all sense of fairness, righteousness and equity. Raja Gulab Singh of Jammu had joined Maharaja Ranjit Singh at a young age and by dint of his capabilities had risen to a very high rank in his (Ranjit Singh) Durbar. Soon after the death of Maharaja Ranjit Singh in 1839, the Lahore Durbar spiraled into a period of factional infighting. These circumstances not only provided Gulab Singh who by now had started dreaming of carving out a kingdom for himself with his opportunity but also drew the attention of East India Company. In order to satiate his lust for ill begotten kingdom and power, Gulab Singh maintained cordial and friendly terms with the British whom he foresaw as the future masters of the whole of India. As a shrewd but unscrupulous adventurer Gulab Singh had already helped the British in their war against the Afghans in the north western frontier in 1841. 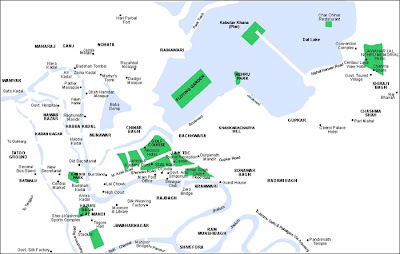 In Nov 1845, the first Anglo-Sikh war broke out between the Sikhs and the British at Sobraon. The Sikh nobles requested Gulab Singh to help and lead them, but Gulab Singh adopted dilly-dallying tactics as he was not interested in helping the Sikhs to whom he owed his allegiance previously. In the words of William Edward, “Gulab Singh urged the army not to attempt attacking the British until he joined them and this he avoided doing, on one or the other pretext, knowing well that in due time the British would attack and capture the positions at Sobraon. (Reminiscences of Bengal). The war was fought and the Sikhs lost the day primarily because of Gulab Singh’s treachery. His alliance with the British was of capital importance in turning the tide against the Sikhs. Gulab Singh was munificently rewarded for his treachery to the Lahore court which eventually paved the way for establishment of the Dogra state in the north of India. The British East India Company held the Sikhs responsible for the war and demanded a war indemnity of Rs 1.5 crore. The Lahore durbar whom the British Govt perceived as a constant menace and wanted to weaken was neither inclined nor in a position to pay so much and this provided the British an opportunity to execute their nefarious design. The plan was that “if the Sikh durbar offers Kashmir instead of the payment of 1.5 crore. To accept the offer, and transfer Kashmir to Gulab Singh in payment of the compensation necessary” (Rippon Paper 1846). In line with British expectation, the Sikh durbar offered to cede territories between the River Beas and Sutlej in lieu of Rs 1.5 crore and the British Govt accepted this offer readily. Subsequently on March 9 1846, the Lahore Treaty was signed between the British and the Raja Dhuleep Singh of Lahore. Among other things provided for in this treaty, it was stipulated that Raja Gulab Singh would be recognized as an independent sovereign in such territories and districts in the hills as may be made over to the said Raja by a separate agreement between him and the British Government. Robert Thorpe in his book “Cashmeer Misgovernment” has described the preposterous Treaty of Amritsar in the following words, “towards the people of Cashmeer we have committed a wanton outrage, a gross injustice, an act of tyrannical oppression which violates every human and honorable sentiment, which is opposed to the whole spirit of modern civilization, and in direct opposition to every tenet of the religion we profess”. 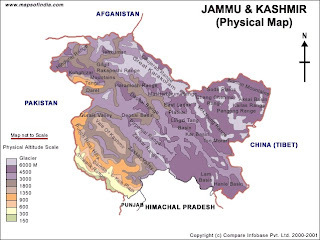 This treaty of 16th March 1846 brought into existence the princely state of Jammu and Kashmir. Disparate territories were stripped by the Company to bring into being a hotch potch state. The creation of the state flowed from the geo-political and strategic considerations of the British Government in the north of the country in view of the growing influence of the communist Russia. The territories that constituted this newly formed amorphous entity were not at all happy with such an excision, and the only consenting parties of the act of creation were the British East India Company and the Raja Gulab Singh. By virtue of this “Sale deed of Kashmir” unrestricted power was transferred to the Dogra Hindu ruler Raja Gulab Singh who became an all powerful Hindu despot ruling a hapless Muslim majority. The people of Kashmir were brought under the imperialism of the Dogras who themselves were functioning as de-facto vassals of the super imperialist Britain. Through the treaty of Amritsar, sovereignty over Kashmir was negotiated with the person of the ruler and not with the people of Kashmir. In fact the treaty stood on a different footing from those signed with other Indian states¬, in that no resident was appointed, giving full internal authority and autonomy to Gulab Singh. Taking advantage of this unbridled absolutism, Gulab Singh let loose a reign of repression, exploitation, persecution, discrimination and religious intolerance especially in the valley. In order to recover the expenditure incurred on account of “Treaty of Amritsar”, Gulab Singh was primarily concerned about reaping more and more commercial benefits from his “purchase of Kashmir”. He enhanced an already exorbitant taxation system from the pre-Dogra period to such an extent that his rapacity and avarice assumed legendary proportions. It was said of Gulab Singh in 1850 that incapable of looking ‘beyond his money bags’, he imposed a capitation tax on every individual practicing any labour trade, profession or employment, collected daily” (George H Hudson, Emphasis in the original). The Maharaja monopolized all trade in the valley, ‘from firewood to taking two thirds of the Singhara (water chestnuts) which formed the chief portion of food for many Kashmiris (Hugh Rees James Papers). The custom of levying fees on marriages was prevalent and was a source of considerable income to the state, the Kashmiri pundits however were exempted from this tax. Sir Walter Lawrence writes in his book that in 1887, the Kashmir state was bankrupt. He further records that when he started settlement of the land, everything save air and water was under taxation. Even the office of the grave digger was taxed. Such a harsh regime of taxation produced widespread resentment, particularly among the peasantry. The Maharaja’s fiscal measures had aggravated the kashmiri peasant’s condition to an almost unbearable degree and if each point of exit from Kashmir were not as vigilantly guarded as it was, the number of emigrants would be so overpowering, that the province would be entirely depopulated in the course of year or a two ( Hindu rulers muslim subjects—Mridu Rai). Gulab Singh’s policy had specifically targeted Kashmiri Muslims and was coupled with a concerted effort on the other hand to co-opt the Hindu minority of Kashmir, the pandits. The Muslim elite or power holders were reduced to an abject state of submission, forced to migrate or coerced to reconcile with Dogra or British imperialism. Gulab Singh even abhorred to associate Kashmiri Muslims with the upper echelons of his administration and went so far as to impel Muslim officials in the revenue department to forego the job. The poor masses were living a life of appalling misery, poverty, ignorance disease and above all oppression, suppression and repression. “Dressed in rags which could hardly hide his body and barefooted, a Muslim peasant presented the appearance rather of a starving beggar than of one who filled the coffers of the state (P.N.Bazaz, The history of struggle for freedom in Kashmir). Most of the Muslim peasantry was landless laborers working as serfs of the absentee landlords who generally were Kashmiri pundits. They hardly earned enough to sustain themselves for more than three months as their share of the produce. For the rest they had to go outside the state and many of them died every year, unknown, unwept and unsung outside their homes. “The disgraceful environments and unkind surroundings in which so many of them died was a slur alike on the people and the Govt of the country to which they belonged”(ibid). A Hindu being a man of his (Maharaja’s) religion was respectable in the eyes of the society and the Muslim because he was a Muslim was looked down upon as belonging to an inferior class. In the countryside a Muslim was synonymous with the hewer of wood and drawer of water. All sort of dirty and menial work was to be done by him. Almost the whole brunt of the official corruption had been borne by the Muslim masses. The police, the revenue department, the forest officials and even the employees of the co-operative societies had their palms greased by exaction of the usual rasum especially from the Muslim masses. Throughout the Dogra rule, fear paralyzed the body as well as the mind of the Kashmiris. 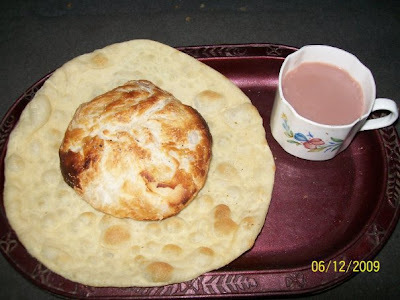 The period was worse than the pattern of exploitation that prevailed during Pathan and Sikh rule. The feudal system had not only crushed the bones of the Kashmiris but their minds as well. “This last state was worse than the first;” wrote lieutenant colonel Torrens, “for Gulab Singh went beyond his predecessors on the gentle acts of undue taxation and extortion. They had taxed heavily it is true, but he sucked the very life blood of the people”. The valley of Kashmir that was endowed with opulent resources was impoverished beyond limit and the valley witnessed successive epidemics of cholera in 1885, 1892 1900-1902 and an outbreak of plague which literally decimated the entire population. The majority of the populace remained mired in poverty and starvation. Since there existed a basic contradiction between the interests of the Kashmiri people and the interests of the Dogra rulers, the Muslims found themselves gradually unrepresented and unprotected. The cultural hegemony of the Kashmiri pundits was ensured by protecting their privileges and a consequent subsumption of the interests of the majority Muslims. The access to the states resources, symbolic, political, economic and cultural was selectively restricted to Hindus. The Dogra imperialism was concurred throughout Kashmir as it brought nothing but misery, thralldom and detoriated the people of the valley morally, intellectually and physically as well. The treaty of Amritsar which culminated in the establishment of the Dogra rule in the state of Jammu & Kashmir continued with the policy of persecution, repression and intimidation of the vast majority of the Muslims. In the wake of this deplorable treaty, was created some political whirlpools and votaries into which the muslim majority has very miserably been caught up and have been struggling hard giving enormous sacrifices to wriggle themselves out of this morass.